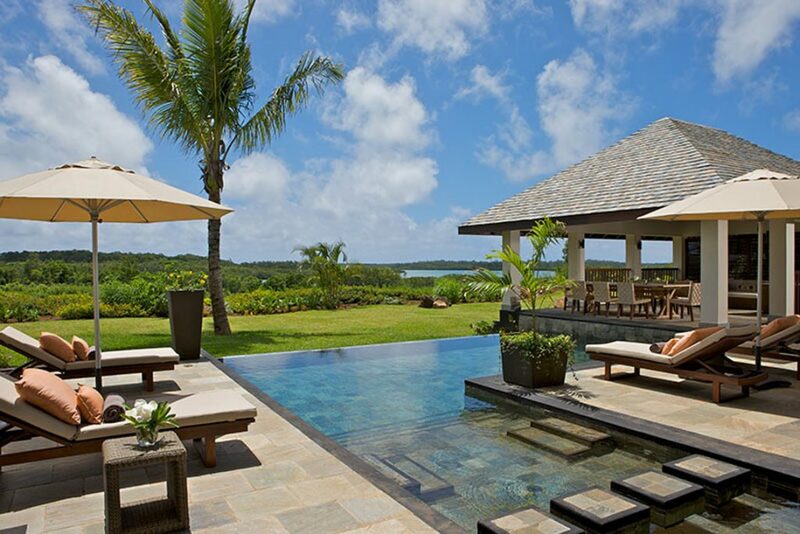 Set amongst 213 hectares of tropical gardens and surrounded by an Ernie Els designed 18-hole golf course, Anahita The Resort is nestled on the east coast of Mauritius. The accommodation is designed perfectly for families. The rooms are private and a short distance from the beach. 70 rooms are 1-3 bedroom suites with private infinity pools, dining area with kitchen and great garden views, golf course views or sea views. 28 Spacious 3-5 bedroom Villas are situated on the Golf Course all with private swimming pool, large patios and gardens and kitchen with views of either the lagoon or the mountains. Should you stray from your stunning abode or off the 2 championship golf courses, stroll along the beach, enjoy a dip in the beautiful lagoon, perhaps nip over to the secluded Ile aux Cerfs, or explore the rich underwater world of the Indian Ocean on an exploration dive. Experience the authentic Mauritian charm with its unique accommodation (lavishly furnished Suites & Villas), refined cuisine and dedicated service in a breath taking natural environment. At Anahita The Resort, enjoy a vast range of the most sought-after activities: two exceptional 18-hole championship golf courses designed by Ernie Els and Bernhard Langer, exclusive beach experience on its two beaches, boutiques, Personal fitness centre, Wellbeing centre, tennis courts, Kid’s club, water sports centre, golf clubhouse. Anahita The Resort , a new lifestyle resort. Child care is available for all ages with kids clubs.